Today is history day at the Inkwell, and Friday is the release date for my newest book, True North. So I'd like to share a little about the inspiration for the novel. To be clear, True North is not historical. It is contemporary women's fiction. But my inspiration for this story goes back about twenty-five years. 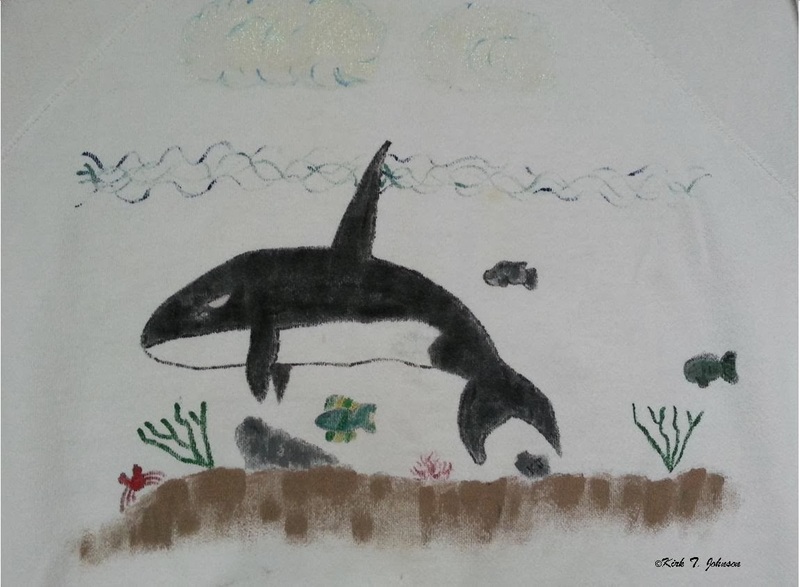 At the beginning of my son's first-grade school year, the school decided to "adopt" an orca whale. It was part of an awareness campaign because the whales were endangered at the time. To join in the excitement, the class began planning a trip to the aquarium in Vancouver, British Columbia. Most of the kids, my son included, had never seen a whale. Their excitement level was high. Mine was, too. 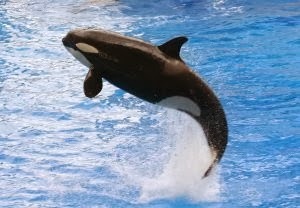 I have had a deep and abiding love for orcas my entire life. 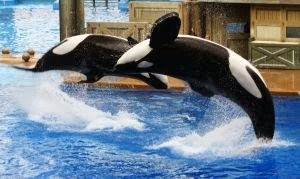 In spite of living in the Puget Sound for all but about six years, I'd actually only seen two orcas and both were in aquariums - Shamu in San Diego when I was about five years old, and a whale in Victoria, British Columbia when my friend Maureen and I took a trip there to celebrate our twenty-first birthdays. The children worked hard the entire year, recycling soda cans and holding bake sales until they'd saved enough pennies and it was finally time to board the bus to begin our two-hour drive north to Canada. My son's first sight of an orca was along the underground glass portion of the aquarium where we could see the two whales as they swam around the tank. The children had a picture of an orca on their name tags and while the whales were all the way on the other side of the tank, the most amazing thing happened. My little six-year-old stuck his name tag up to the glass and within seconds one of the whales was in front of us, large as life, flush to the glass with his eye up to the name tag as if looking at the tiny picture of another orca. The whale stayed like that until we reluctantly had to move on. It was an incredible experience and I felt as if God whispered to the whale and told him to come grace us with that special visit. Later, when it was time for the show, the whale trainer did a lot of education with the children. One of the things he taught them was a detail about the whales' dorsal fin. In the aquarium the dorsal fins were flopped over, where in the wild they would stand straight up. That's because there isn't enough room in an aquarium for the orcas to swim at their natural speed, and that natural speed is what builds the muscle so the fin can stand up straight. Sadly, in the aquarium, their fins were atrophied. That knowledge touched something in my little son, and it was all he needed to begin his quest to see an orca in its natural habitat. He drew many whale pictures after that day, all in the ocean, all with their dorsal fins high in the air. And yes, for the record, I still have them. It was nearly ten years before my son's dream was realized, and it was a spectacular experience that could have only been orchestrated by God. A family of orcas neared the boat we were on, and danced and breached repeatedly while we sat out on the bow. The captain of the boat, who made a living taking people out on whale watching tours, said it was the absolute best orca show he'd ever seen. I'm not a fan of keeping whales in aquariums, but if not for the trainer that day I don't know that my son would have had the desire to see them in the ocean. And then we may have never experienced the magic of seeing those sweet creatures in their true home. Those two very special experiences with my son, along with his heart for whales, were the initial inspiration behind True North. I do hope readers will enjoy this book that I've dedicated, with all of my love, to my son Kirk Johnson. Desperate to save her marriage after tragedy has torn them apart, Lisa Kendall hopes to restore it by unexpectedly showing up on an Alaskan cruise ship where her husband, Joe, hoped he'd be alone. As Lisa tries to get through to Joe, she realizes God has been trying to get through to her. The softcover edition of True North is now available for preorder at Amazon and Barnes and Noble. The electronic download will be available on Friday, January 24th. Suzie Johnson's second novel, True North, is set to be released January 24, 2014, this Friday! It's available for pre-order at Amazon and Barnes and Noble. 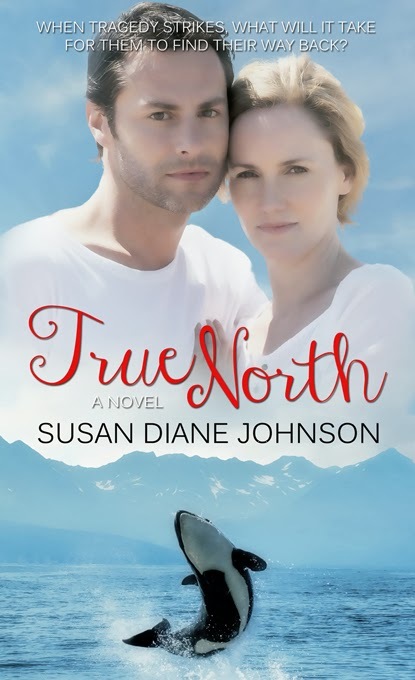 Like her first novel No Substitute, True North is written under the name Susan Diane Johnson and published by The Pelican Book Group. Sweet Mountain Music, her third novel and first historical, written as Suzie Johnson, will be released in May from WhiteFire Publishing. Suzie and her husband are the parents of a wonderful son, and they live on an island in the Pacific Northwest with their naughty little cat. Suzie believes her island is the perfect spot for writing romantic fiction. You can visit her website at www.susandianejohnson.com. a lovely story. Whales are so compelling and one you've seen them in the wild, you never forget. I'm looking forward to True North! Thank you, Deb. I've been blessed to see gay whales - a mother and baby just swimming around, the orcas on the boat trip, and a sperm whale. Incredible. There really are no adequate words. Oops. That was supposed to say "gray" whales. Just kidding, Suzie. What a great story. Congratulations on the book release. Has your son read the book yet and does he know about the dedication? Is this the one named for James T. Kirk? Precious story, Suzie! I love it. And there's a spiritual correlation to those captive whales and us that I'm going to have to mull over... Thank you for sharing, and congratulations on your LATEST release!!! Thank you, Niki. Yes, the whales...amazing creatures from an amazing God. What a lovely story, Suzie. I love that Kirk had such a tender heart for these amazing creatures. I visited Sea World a LOT as a kid, but I've seen several whales. Just one whale watching trip, and what I remember most is my mom's seasickness. But there were plenty of humpbacks. From shore, I've seen some, as well as pilot whales. I'm one of those who wants to see more whales protected, but I won't get on that soapbox. Thanks for sharing this story! I can't wait for your book's release! Thank you, Susie. And I know what you mean. It's a hard subject to even think about. A big congratulations to you, Suzie! I'm looking forward to reading True North.